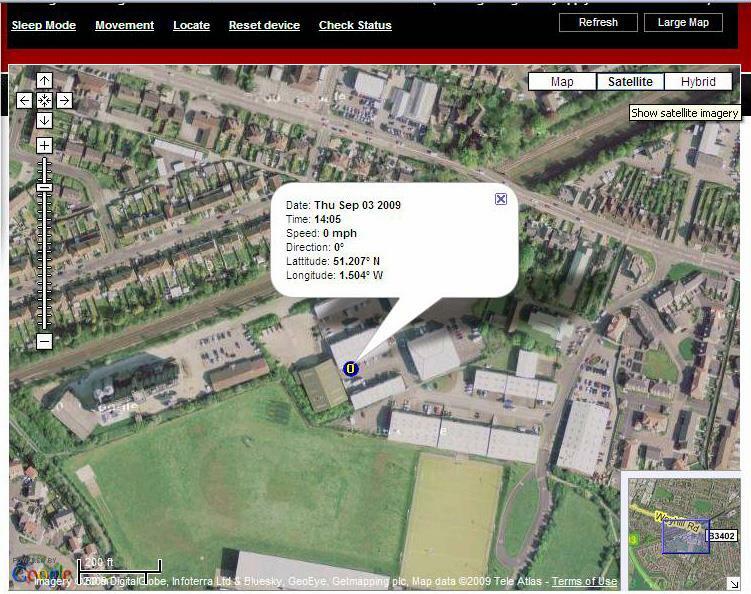 Acutrac vehicle tracking technology was used to pinpoint the location of a stolen Yamaha R1 superbike, enabling the Police to recover the vehicle in a dawn raid on the lock-up in which it had been hidden. Stolen from outside the owner’s house in South East London during the early hours of the morning, Acutrac quickly traced the 1000cc motorcycle to an area just a few miles away using GSM ‘mobile phone’ technology. Staff were despatched to pinpoint the position with an RFID scanner, which homes in on an electronic tag in the tracking device that was fitted to the motorcycle. While Acutrac were on the trail, the thieves moved the stolen bike. However its new position was quickly established, this time using GPS to reveal the exact hiding place - a lock-up in East London. This was confirmed, again using an RFID scanner, the third stage in Acutrac’s unique tracking system. The Police were informed, a warrant was issued and the rightful owner was finally relocated with his stolen motorcycle when the premises were raided the following morning, barely 24 hours after the theft. “This is a perfect example of the benefits of a properly developed motorcycle-specific tracking device” comments Tim Albone of Acutrac. Developed by Hampshire-based Acutrac specifically for motorcycles, their bike-tracking device retails for £400 including fitting and 12-month subscription, (or £600 including a 4-year subscription). Contact Acumen Electronics on 01264 310007.